Wheat Flour (Wheat Flour, Calcium Carbonate, Iron, Niacin, Thiamin), Water, Wholemeal Wheat Flour, Rapeseed Oil, Humectant (Glycerol), Emulsifiers (Mono and Di-Glycerides of Fatty Acids, Sodium Stearoyl Lactylate), Spirit Vinegar, Salt, Acidity Regulator (Citric Acid), Preservative (Calcium Propionate), Yeast, Stabiliser (Carboxy Methyl Cellulose). Here at Deli Kitchen we’re naturally curious, and use that curiosity to do things differently, like creating less ‘bready’ bread, and healthier ways of eating for you, your family and your friends. 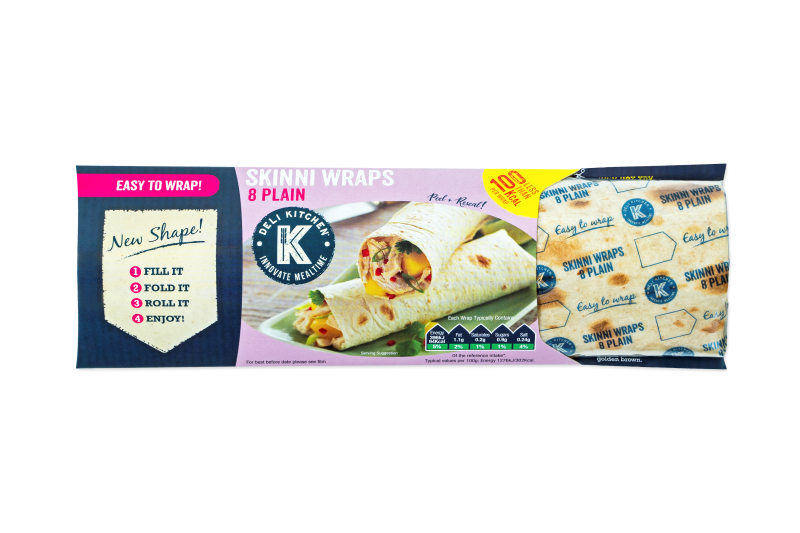 At under 100 calories per wrap, the Deli Kitchen Plain Skinni Wrap tastes great and is healthy too. 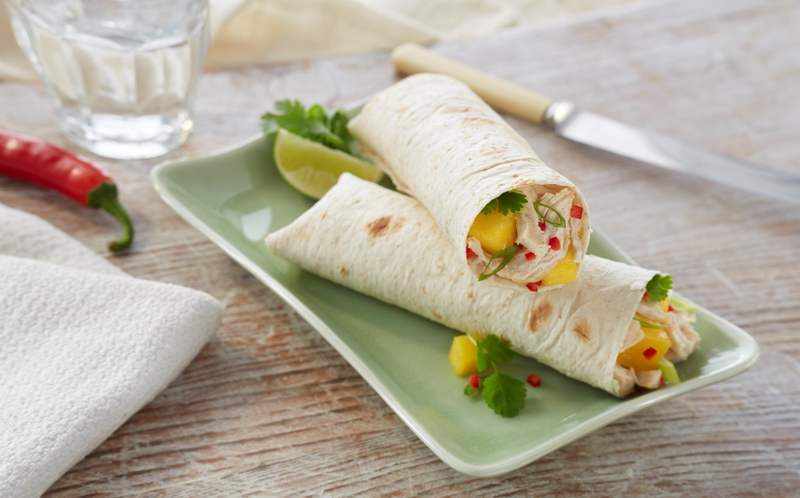 Perfect for packed lunches, or if you want to eat on the go, it comes in a unique shape that makes it easy to fold no matter what delicious filling you choose.